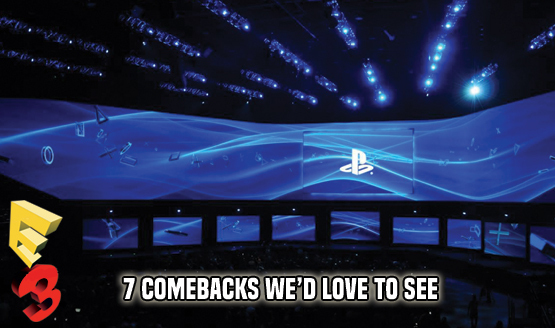 As the E3 2017 conferences come to a close, we at PlayStation LifeStyle are ready to list what excited us the most this year. There was a lot to take in, but we have a good idea of what our highlights are. Click the video above to see our selection of best E3 2017 moments. Once you’ve given it a watch, be sure to let us know your own highlights, and whether or not you’re satisfied with this year’s showcases. The comments section below is the place to sound off. Our staff are working hard, both at home and on the floor at E3, to get you the latest gaming news, impressions, and interviews. Keep your eyes trained on the site for loads more E3 2017 coverage! For more videos like these, don’t forget to subscribe to the PlayStation LifeStyle YouTube channel for your weekly dose of top five videos, as well as for other original content.